Chase Iron Eyes is an enrolled member of the Standing Rock Sioux Tribe. Chase has dedicated himself to ending the marginalization of his brothers and sisters by fighting in courts and, more recently, by co-founding LastRealIndians.com, which helped lead an effort on behalf of the Oceti Sakowin to regain control of Pe Sla , one of their most sacred sites in the Black Hills. 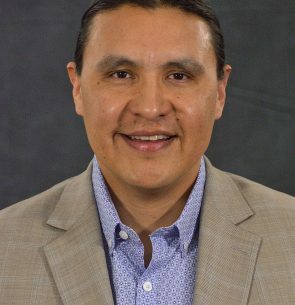 Chase is a graduate of the Sturm College of Law at the University of Denver and serves as Lead Dakota Counsel for the Lakota People’s Project.